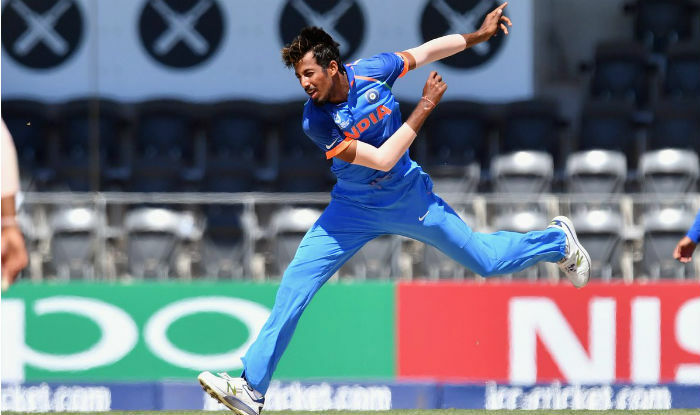 India made impressive 203-run win over Pakistan in the semifinal of ICC U19 Cricket World Cup 2018. The Prithvi Shaw-led side will face Australia in the summit clash on Saturday. On tuesday, Indian bowler Ishan Porel made early inroads and scalped first four Pakistan wickets to fell. Porel’s early burst meant Pakistan were reeling at 28 off four. The bowler’s performance has strengthened India’s pace department ahead of the all-important final against Australia. # Porel was born on September o5, 1998 in Hooghly, Bengal. # The pacer made his first-class debut for Bengal in the 2017–18 Ranji Trophy. So far he has featured in three first-class matches for Bengal and has picked 13 wickets with 5/32. # Porel’s List A debut for Bengal came in the 2016–17 Vijay Hazare Trophy. In three List A fixtures, he has managed to pick only two wickets. # In the recently concluded IPL 2018 Auction, the pacer, unlike Nagarkotri and Mavi, didn’t find any takers and went unsold. His base price was set at INR 20 Lakh. Interestingly, Porel injured his left ankle in India’s opening match against Australia. He had to sit out for matches against Papua New Guinea and Zimbabwe and against Bangladesh in the quarterfinal returned figures of 5-2-8-0. Let’s hope in the final against Australia, Porel emulates his performance. Be the first to comment on "Know about Ishan Porel, the bowler who dented Pakistan Batting at The ICC Under 19 Cricket World Cup"